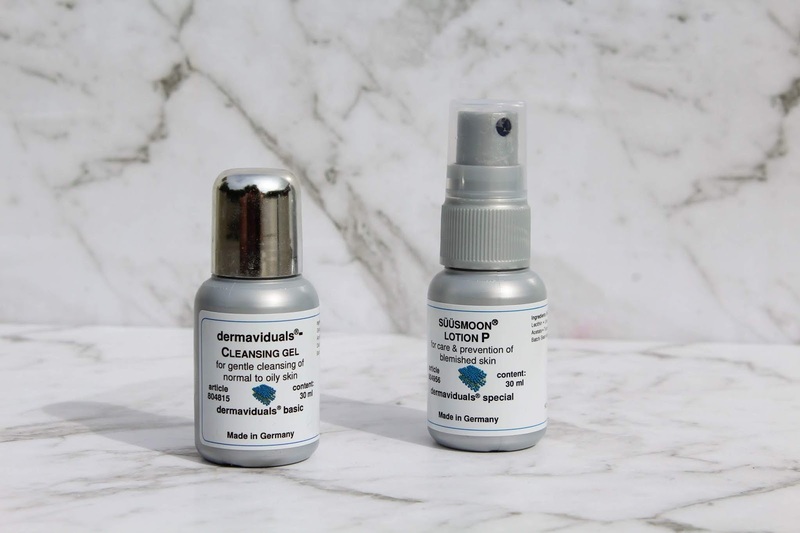 I hadn't heard of the brand Dermaviduals before and when I was contacted about their products I was interested in trying some out. 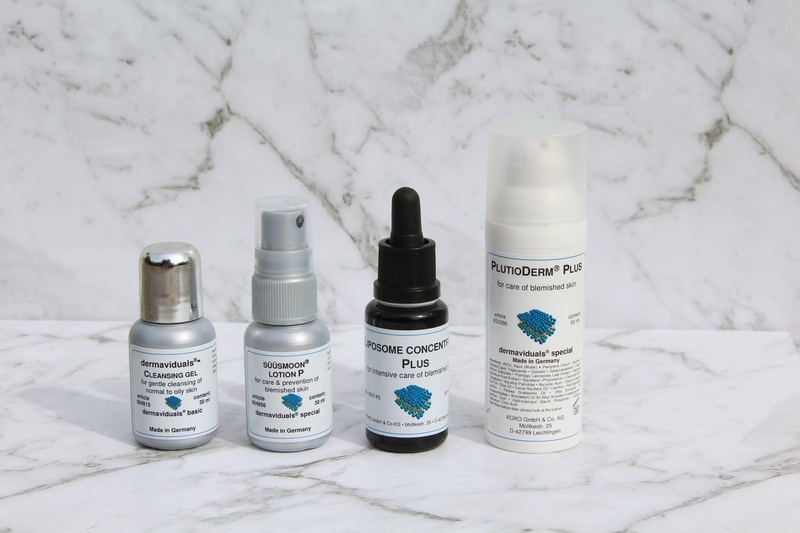 The products are based on the principals of Cornotheropy and it targets the maintenance of the skins natural barrier as well as the prevention of ageing. The brand was founded by Dr Hans Lautenschläger and treats skin conditions such as acne, skin ageing, pigmentation and eczema. The products are free of emulsifiers, preservatives, fragrances, mineral oils, silicones, dyes and amines. I'm not entirely sure what any of those are so it's a good thing they aren't in the products. Acne is pretty much one of biggest issues with my skin. It just never seems to disappear so I was eager to see if using the products would lead to any improvement. I was sent the Skin Clarity Kit* which also included a nice travel bag for skincare which is always handy to have. Inside were four products which have had an effect on my skin. So to start off there's the Cleansing Gel* which you apply to your face and neck. As an added measure I also like to go in with a sonic cleansing brush cause I like to think it helps, and also cause it just feels nice. Once I've rinsed it off I apply the Lotion P* which comes in a spray bottle. My face is typically oily/combination and once I've used these two products my skin becomes drier. Next is the Liposome Concentrate Plus* which comes in a dropper. This is more of a spot treatment so apply to the areas that are really annoying. 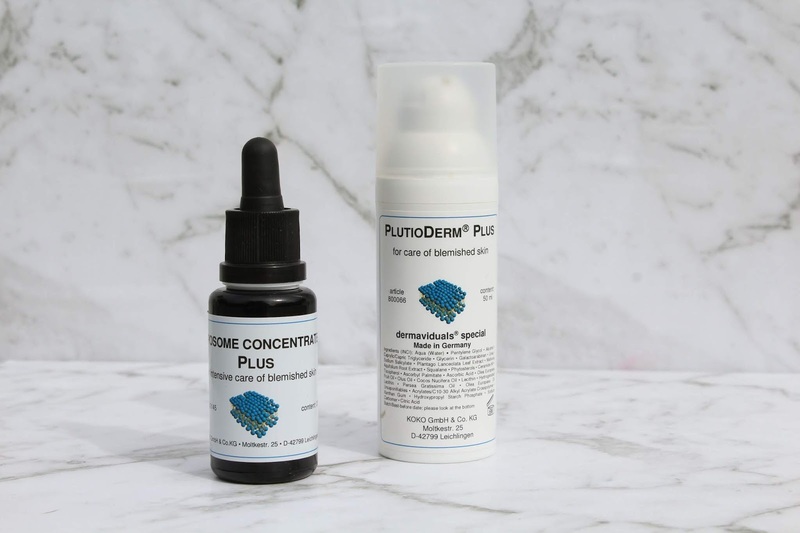 Lastly is the PlutioDerm Plus* which moisturises your skin. So after using the products everyday for a while I actually started to notice a difference in my skin. It started to clear up more and my skin was less oily. Being a bit of a lazy person I'd often forgo the regime which resulted in a number of breakouts. So once again I started using the products and once again saw an improvement. For the most prominent spots, I also applied some of the Mario Badescu Drying Lotion which dealt with them. So overall the products actually had a positive effect on my skin which is a nice change. I'll keep going with the regime and hopefully, my skin will improve even more. Dermaviduals is available in over 47 clinics across New Zealand. The range includes cleansers, serums, face and body moisturisers to mineral makeup.